Braces are a staple of the awkward teen years. But they are not just an accessory to help make your life a little more miserable, they serve an important purpose and can offer many different benefits. There are many reasons why you may need braces, as it involves more than just crooked teeth. Honestly, as awkward as you may think braces are, they can help correct many different oral issues and insecurities. 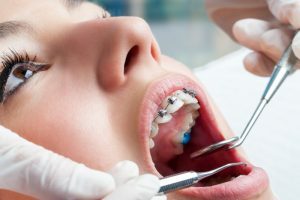 There are many reasons why you may need braces, including a misaligned bite, a bite that is too narrow, crooked teeth, or a crowded mouth. Braces can help with all of these issues and improve the overall health of your mouth! Luckily, with advanced methods of orthodontics, there are a variety of braces, allowing you to pick and choose what will work best for you. At Brookside Dental Care, we offer traditional metal braces, self-ligating braces, ceramic braces, clear aligners, gold braces, and lingual braces. Learn more about these types of braces now! How do you know if you need braces? Well, you won’t. But our dental experts can tell you whether or not you would benefits from braces. There are a few reasons why you may need braces. In this blog, we will give you more information about these reasons and how braces could help! Whether you have an overbite, underbite, crossbite, or open bite, braces can help correct it. Having a misaligned bite can put strain on your jaw, which can cause jaw aches and teeth grinding. If you have a serious misalignment issues, traditional wire braces are likely what you will need. Not getting your bite problems fixed could cause further problems. Each of these bite type could be improved and if left untreated could cause additional problems. This is why braces are necessary when you have a misaligned bite! A narrow bite occurs when the top arch of your teeth is narrower than the bottom arch. This is another issue that could cause many problems. This could cause teeth grinding or clenching, as well as cause problems with chewing food. Have a narrow arch causes your teeth to never align properly, but spacers and expanders could fix this. Once your arches are lined up, braces can help straighten your teeth and give you a beautiful smile and few problems. A crowded mouth is one of the most common reasons to get braces. When your teeth are crowded together, they will become crooked and worsen as you age. 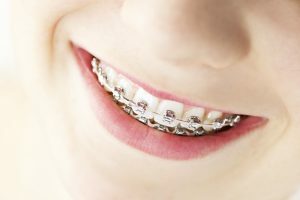 Many children get braces for this reason, which will help their teeth from becoming crooked and even more crowded later on. Whether it is from a crowded mouth, or your teeth are simply not perfectly straight, braces can help correct crooked teeth. The invisible aligners are great for subtle crooked teeth that you just want to straighten out a little. But any type of braces will work for straightening your teeth. While you may be trying to straighten your teeth simply for cosmetic reasons, a straighter smile is better for your oral health. When your teeth are straight, they are easier to clean, which improves your oral health. Whether your teeth are crowded or have huge gaps in between them, they can pose a problem. Straight teeth are easier to brush, floss, and stop plaque from building up! There are many reasons why you may need braces and many benefits to getting them! Our dental experts at Brookside Dental Care can help determine if you need them and which type of braces will be best for you. Contact us today to schedule an appointment.